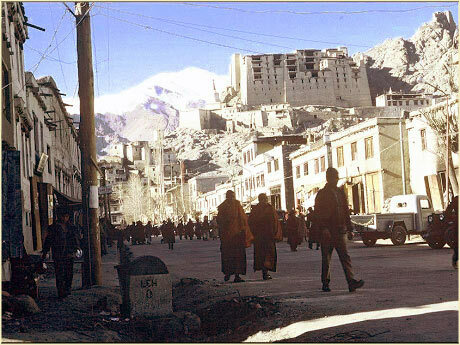 There is a sense in which Ladakh Development Foundation started in 1976 with a one day visit to Leh . . . April 20 . . . it was a Tuesday. One day in Leh, but it took 2 months to get there. After finishing a tour of duty with the Army in Korea, I traveled by air to Hong Kong, Bangkok, Kathmandu and into New Delhi. Then, took a train to Jammu and a bus into Srinagar. Snow kept the road closed until about June so I had to find someone to take me into Ladakh on foot. A group of Ladakhis from the Zanskar valley who were crossing Zoji pass into Ladakh agreed to take me along so the next day we piled all our gear on the top of a rickety old bus and took off. The bus dropped us off at the last point where it could still turn around and we walked along the road, lined on both sides with walls of snow 6 to 10 feet high. 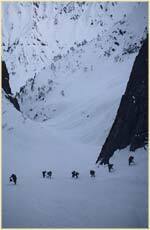 We stopped for dinner in the dark and rested until midnight when the snow was hard enough to walk on the surface. The moon was full . . . the Himalayas in the full moon are indescribable. It took until about 9 AM the next morning to cross through the 5 mile gorge and then thanks to a short ride we made it to the little village of Matayan. Then after 2 days of fording glacier streams with bare feet, hitch-hiking with the military . 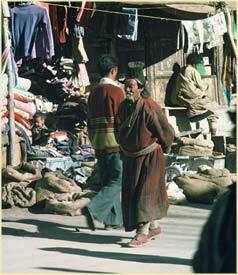 . . a few pointed questions about what an American was doing in Ladakh on foot . . . we made it to Kargil (see map). The grueling but beautiful 120 mile ride to Leh in the overcrowded bus took just over 16 hours. It was a true desert with patches of green along twisted rivers, homes scattered here and there looking like little miniature castles. We arrived in pitch blackness at about 10:30 PM . . . the generator had just been turned off. That one day in Leh did something to me that I will never be able to explain. If you have been there, you understand. I quickly came to realize that it was the people. 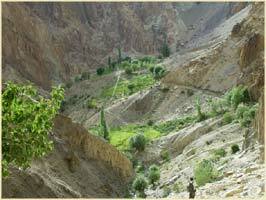 The geography of Ladakh has a beauty that is matchless. But it is the people that get into your heart and won't leave. 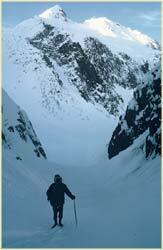 There was an Englishman in Leh who had come the previous fall and had stayed through the winter. His name was Tim. We had tea together but I never got his last name. After an 8 hour motorcycle ride to Kargil and back over Zoji La on foot, it was back to the US. The first order of business was to try and figure out how to get back to Ladakh. 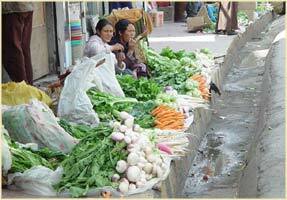 Surely the Indian government would not turn down an agriculturalist. So it was off to college. However, after a BS in Agronomy it was pretty clear that there was no way I was going to get permission to go to India, let alone Ladakh. Somewhere in the midst of a couple graduate degrees I fell in love with research. Between Pennsylvania State University and North Carolina State University, the next 20 years were spent doing research on freezing tolerance in crop plants. 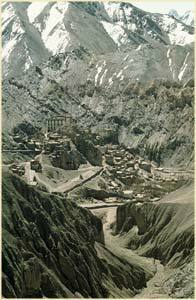 Then, in December 2000, someone representing a group of medical professionals that had been holding clinics in Ladakh for the last 5 years, wanted to know if I was interested in conducting an agricultural survey along with evaluating the possibility of beginning an agricultural effort there. I was surprised that anyone had even heard of Ladakh, let alone traveled there regularly and were actually doing something to help the people. 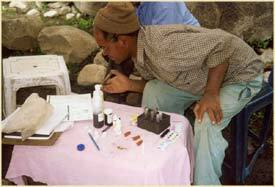 We were in Ladakh for 2 weeks in June 2001 and while the Doctors, Dentists and Nurses saw their patients (Hemis Clinic video, top of page) I sampled and tested soils with a small garden soil-test kit (soil sampling video, top of page) . A curious Ladakhi who spoke and read English became my first soil-test pupil (First Pupil video, top of page). He was so excited about being able to test any soil and get the results within hours, that I gave him the kit before leaving. 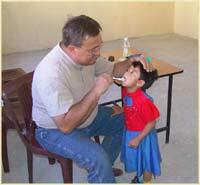 He was an extension agent of the Indian Department of Agriculture assigned to the district where we were holding the clinic. After visiting several offices in Leh, it was clear there was a well organized infrastructure already in place (Mir Tour video, top of page). So the next question was, how could we help? They needed a rust-resistant barley so we sent several genotypes from the US germplasm collection. In addition, since we had found only traces of nitrogen in the soils we had tested, they agreed that it would be useful to do more wide-spread sampling. 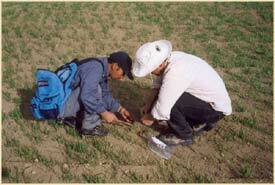 In February, 2002 a small team brought 6 soil-test kits and conducted a training session (training video, top of page) with the 5 agents and numerous onlookers. After the session we encouraged them to take the kits back to their districts and sample as many soils as they could. The results of those tests indicated a critical shortage of nitrogen in all 230 soils sampled all over Ladakh, despite hundreds of years of incorporating animal and human manure back into the soils. We left the decision on how to address the problem to the soil scientist on location. 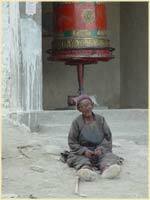 In July 2002 during a follow-up visit, a native Ladakhi showed me how the villagers thresh their crop by using animals and hand-winnowing. We discussed the idea of a small, portable kerosene-powered thresher that could be carried into remote villages. Huge tractor-powered threshers were already being used in towns along the roads so it was not as though we would be introducing something completely new. There were countless tiny villages with no road access that were (are) being bypassed; those were the ones that would benefit by this small thresher. Beginning that year and into 2004, Bill Peck, an engineering student at Pennsylvania Technical College (Williamsport, PA), designed and built the first portable thresher as a Senior Project under the supervision of Dr Eric Albert, (The prototype video, top of page). After shipping the unit to Ladakh, it was tested it in a small village about one day west of Leh. 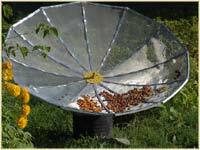 It came as an enormous surprise to us that the chaff generated by the thresher was worth 5 times by weight what the grain was worth. The large commercial thresher pulverizes the chaff which, we were told, was a major objection to using this large machine. Several farmers told us that our thresher makes perfect chaff. 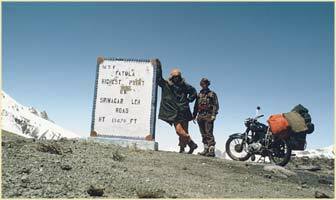 During the fall and winter of 2004 the prototype was appropriately modified in Leh and retested in 2005. When it was determined that the design would suit the needs of Ladakhi farmers, arrangements were made with an engineering firm in New Delhi to build 2 new threshers at a fraction of the cost in the US. 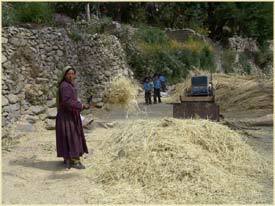 The Indian-built threshers were trucked to Ladakh in June, 2006 and tested by a team from Oklahoma City, OK in July. Some minor issues with the engines were dealt with in September and the first 3 units were delivered to our original test village. This machine has already reduced threshing times from weeks down to days and has allowed more time for villagers to do manual labor in various industrial projects in larger towns. 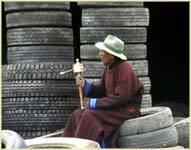 In October, 2006 Ladakh Development Foundation was incorporated as a non-profit organization in the state of North Carolina and we look forward to expanding our involvement in Ladakh. We understand that with technological change there is an inevitable change in culture. 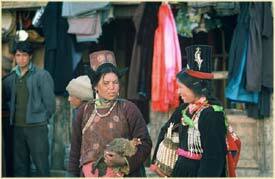 We constantly ponder the best way to give Ladakhis more choices without harming their unique culture. 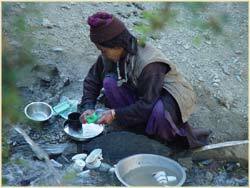 However, technology is coming to Ladakh. Roads are being built to villages that for many hundreds of years could only be accessed by foot. 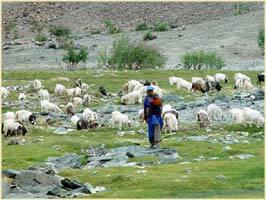 Cell phones, satellite TV and the internet are common in Leh, but so is plowing with animals, and harvesting and threshing by hand. With the possibility of climate change much of the technology enjoyed by the rest of the world (such as metal roofs to keep mud homes from collapsing in the rain) will be important to help Ladakhis survive. 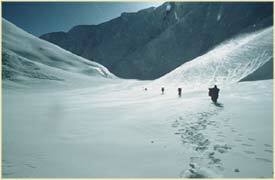 Most climatologists assert that the glaciers in the Himalayas will only last another 40 to 50 years. If true, then every village in Ladakh will need to either dig wells or evacuate. The rains came suddenly in 2006 and without any warning. It is not known if the events of 2006 will be repeated but if this kind of weather pattern becomes the norm, the Ladakh Development Foundation will attempt to help in whatever way possible. We are grateful for your interest in this unique place. If you would like to help the Ladakhi people, please consider making a donation to Ladakh Development Foundation.